The brush is truly the instrument of the magic of Diana Jamison, an artist who has demonstrated remarkable growth since she started painting in 2007. While Diana has worked with water-color and pastels, her primary interest is now painting with oils and mixed media paper collage. Her impressionistic style and use of rich color are the vehicles of her self-expression. 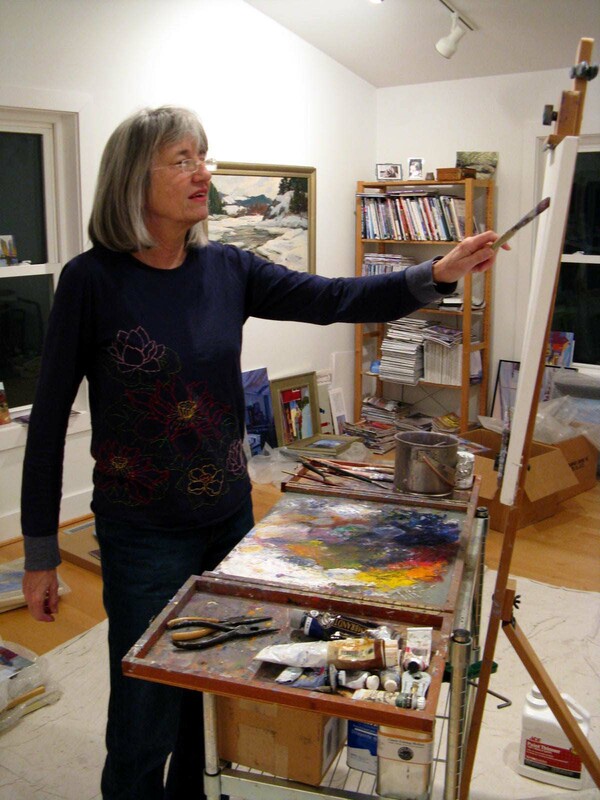 Diana is an active member of The Rappahannock Art League in Kilmarnock, VA. She displays her work year round in their Studio Gallery and in juried shows throughout the state of Virginia. Diana is a member of the Northern Neck Artisan Trail. Her home studio is open by appointment. Many of the paintings displayed at this site are for sale. For a price list, please contact Diana by email at belleleven@verizon.net or at 804 761 3991.